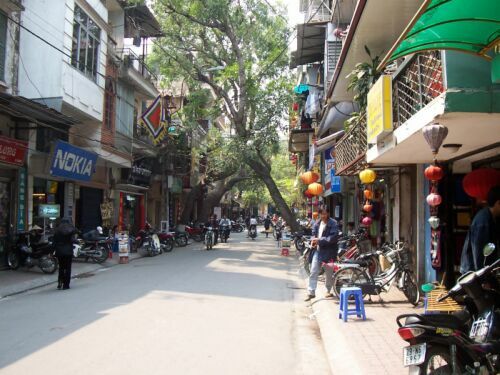 Hiking around to see Hanoi's tourist sights, we quickly realized that what really fascinated us about this place were the streets themselves. Some of the sidewalks were choked with parked motorbikes, but usually there was enough room to walk. Everywhere people had little open-air markets and kitchens right on the street, and people were eating on the tiniest little tables set out on the sidewalk. The cooking smelled delicious. 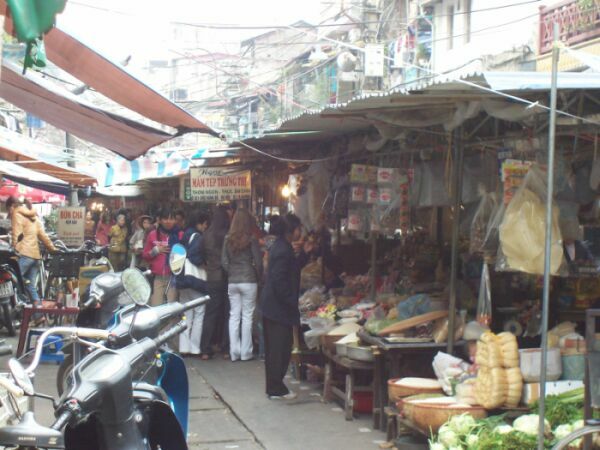 Some streets had a more concentrated market area. Pork for sale in the same market. 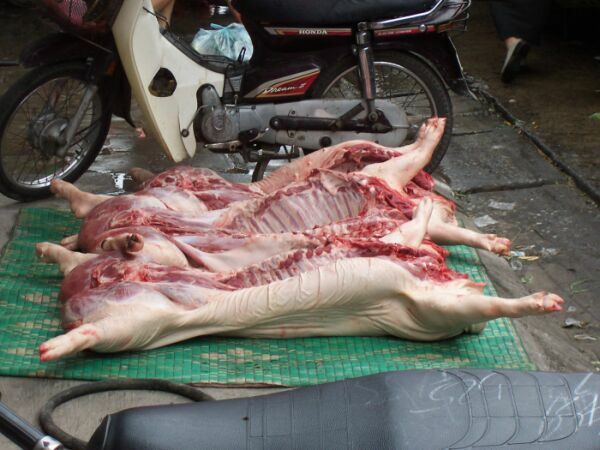 Of course, they have pig carcasses in other countries, including my own, it's just that in Asia you may find them displayed for sale on the sidewalk in front of your hotel. 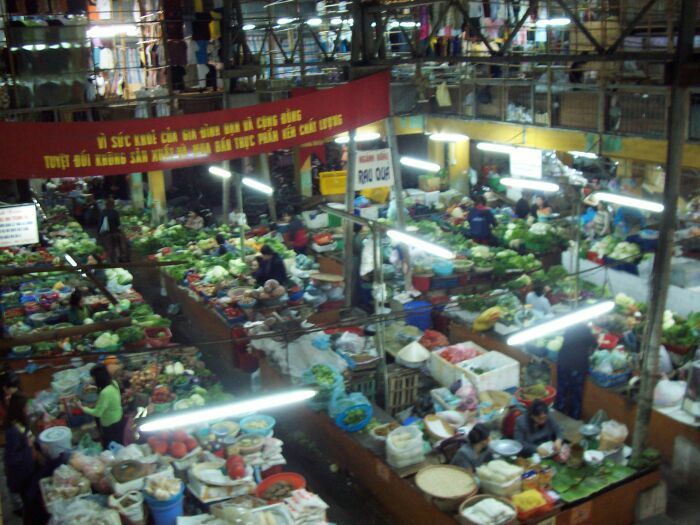 Some markets were inside big market halls. 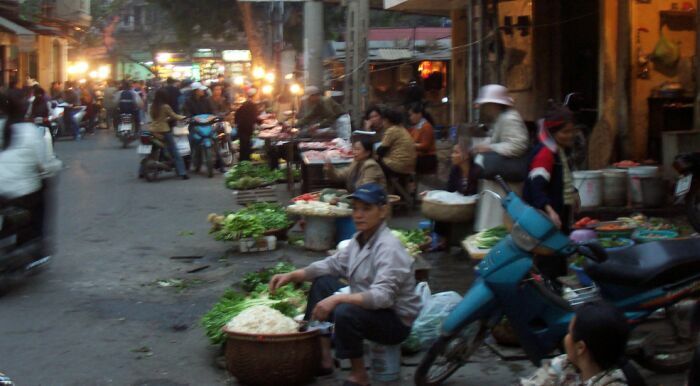 Looking down Hang Gai street, where our hotel was located. 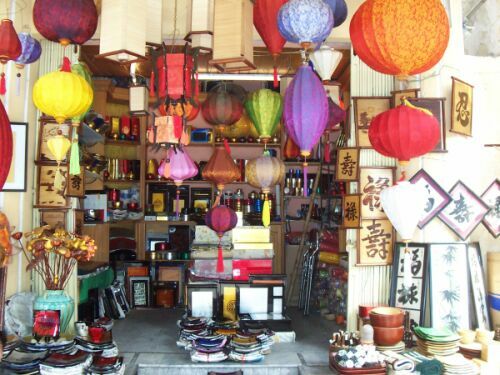 Around the corner on Hang Hahn street, the shops specialized in selling lamps. It had been another brutal day on the streets. 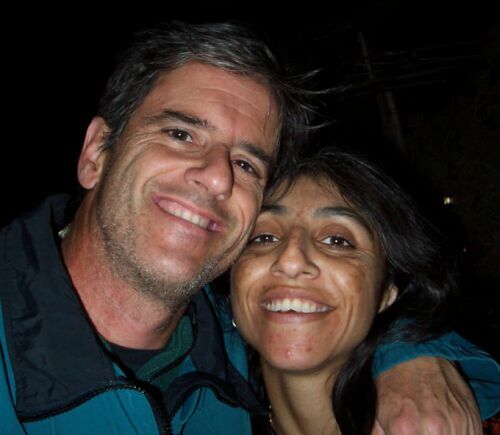 Nadia and I relaxed at a chic bistro overlooking Hoan Kiem Lake. 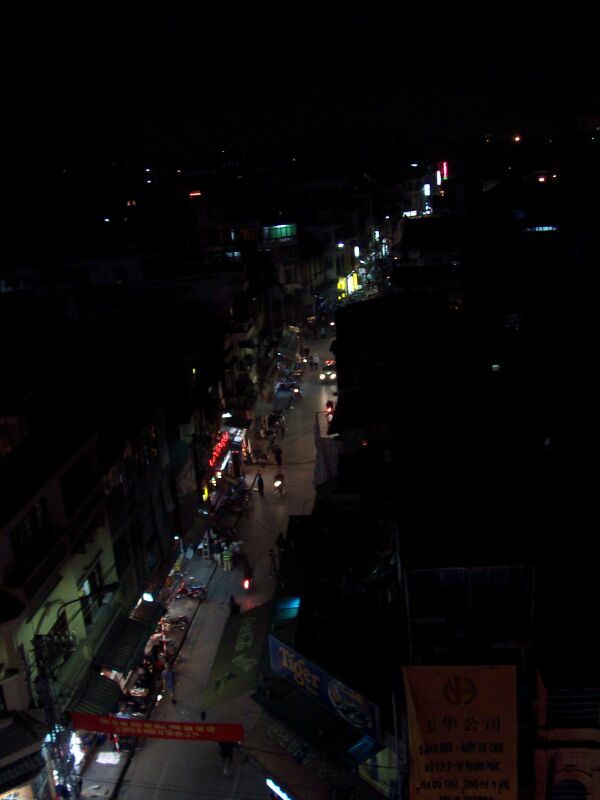 The night view of Hanoi's Old Quarter from our rooftop table at the "City Grille" restaurant.